The 1951 Stanley Cup final series between the great rivals Toronto and Montreal was a cracker, despite the apparently lopsided 4-1 result in favour of the Toronto Maple Leafs. Every game went into overtime, still the only time that has happened in Cup history. The famous picture of the victory is of Bill Barilko toppling forward as his shot gets past Montreal goalie Gerry McNeil. “Bashin’ Bill” Barilko was a young star, a bash-and-crash defenseman who had already played in 3 all-star games at age 24. Not a big scorer — defensemen who make their living off jumping into the rush and booming slapshots from the point are a more recent thing — he only hit 31 goals in 5 NHL seasons. But he was the toast of Toronto after that season. During the summer break he went on a fishing trip up North in a light seaplane. In the years before GPS, he and his companion were late heading back and got caught in a storm. The plane went down, never to be heard from. The futility of the Leafs is woven into the fabric of Toronto. The 1951 series turned out to be a turning point, a changing of the guard. From 1942 to 1951 the Leafs had won 6 cups; over the next 10 years the Canadiens would play in the finals every year and win 6 of their own. They would turn up another two or three generations of superstars and enjoy periods of dominating the league right through to the end of the ’70s. In Toronto there was talk of a curse. Finally, in 1962 a helicopter pilot found some wreckage near the town of Cochrane in Northern Ontario. They say “Northern”, but look at a map: it’s only about halfway to Hudson’s Bay. Ontario is freaking huge. The wilderness is immense and it’s a miracle it was ever found at all. You can drive for days and still not clear Lake Superior. The midway point of the drive from Toronto to Vancouver is still in Ontario. The body found, curse lifted, the Leafs broke through for another Stanley Cup win. They would have a good decade, winning another 3 between then and 1967. Since then, however, it’s been a wasteland. 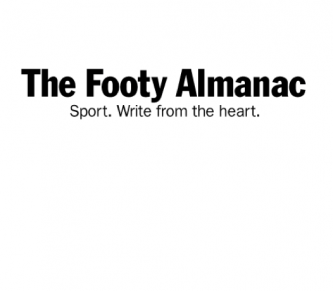 Expansion, equalisation, bad ownership, the inevitable egos and tall poppies that go with the biggest media market in the game, and plain bad luck have added up over the years. To get a handle on Canada you need a drinking buddy and the Tragically Hip’s catalogue. The drinking buddy will tell you things like how a penalty kill sets up in a box formation, why you should prefer Molson’s or Labatt’s (actually neither – the correct answer is Alexander Keith’s or Upper Canada Dark, or maybe Rickard’s Red), that you should read Ken Dryden’s “The Game” and Roch Carrier’s “The Hockey Sweater”, and that a Fifty Mission Cap is the Air Force officers’ cap awarded for having flown 50 missions. A bit of googling will tell you also that it’s a standard looking officers’ cap but with a lateral crush over the crown from a bomber pilot’s headphones. The Hip will get you in tune with Canada’s Soundtrack. They started as a college blues-rock band in a college town and, as bands do, got more ambitious over time. Gord Downie’s lyrics have a way about them. Rarely straightforward without resorting to tricky turns of phrase. Stuff to chew on, rewarding of repeat listens. Some Canadians can get snarky about the way they seem to be the go-to option whenever someone needs a backing track for a sports event or ad campaign however tenuous the link from lyrics to message, but that would be poor form right now. Most importantly, they know their way around a riff. While mellower numbers like “Boots or Hearts”, “Grace, Too”, “Ahead By a Century”, “Scared”, and “Bobcaygeon” sit comfortably in their best-of, their bread and butter is good old fashioned 4-piece rock. Like Fifty Mission Cap. It starts as it means to continue with a no nonsense set of 12 bars on the downbeat before telling us the bare bones of the story of Bill Barilko. A bit like “Throw Your Arms Around Me” before Mark Seymour ruined it with extra verses, it doesn’t need more than one verse and (sort of) chorus to say what it needs to. Unlike that song, it’s a mosh pit staple. And for a kind of throwaway song about a quirky hockey story, I find myself spending way too much time obsessing about the eponymous cap. It seems like the sort of thing he wears all the time, maybe a uni student affectation? How did he get the cap? Was it a hand-me-down from a grandfather? Or did he find it in an op-shop? Was the card in the cap when he got it? Or did he already have the card and keep it in the cap because it was a cool story? Was it even a real fifty mission cap, or a regular cap that he “worked in to look like that”? When the song came out in 1992, the Barilko story was fading into history and this song brought it back to life for a new generation that couldn’t even remember the Leafs being good. The Tragically Hip played their last show last night in their home town of Kingston, Ontario, wrapping up a farewell tour after Gord Downie was diagnosed with inoperable brain cancer. The entire population of Kingston that couldn’t get tickets massed outside the town hall to watch it on the big screen. The Prime Minister went in the national costume of Double Denim. Canada’s going to need a moment here, and I think so am I. Really enjoyed this Rob. You have clearly spent time over there. Canada is often forgotten. But you have described the intersection of rich sporting and music cultures. I love this style of piece. Illuminating. I was (Mont Tremblant in the Laurentians, one stop before Kingston, where I photographed the sign over the road at the port, Tragically Hip Way) when I heard the tragic news, together with the upbeat coda that they were going on a farewell tour that added a touch of memoril poignancy to that overworked term. As John says, Rob, you’ve clearly spent time there – and the essence of Canadianness has indelibly entered your soul. Eh! PS: Aren’t they blessed to have Justin Trudeau as PM just now. Imagine how Stephen Harper, the Arctic Abbott, would have responded – not. Canadian here, hockey mom ‘From the 100th Meridian’, home of the ‘Wheat Kings’, and hip devotee two decades+. You seriously nailed this so intrinsically that we should consider making you an honourary Canadian. Right down to the Rickards. There is a general tone here that the immensity of support (11.7 million strong), the impact of The Hip in this Country and the respect & love of Gord must be extremely confusing to those outside of Canada. Canada is closed for a private function… so difficult to explain, yet, here you are explaining it. Our poet (deemed the unofficial poet lauriate of Canada), over 3 decades recorded what, despite the diversity of our personal histories, many feel is the soundtrack of their lives. The mere mention of a song title, the use of a simple phrase in everyday language (Fully & Completely), prompts one to replay the entire lyrics in our heads. How incredible for a musician to subtlety, without intent, weave his words into the fabric of our identity. Incredible. Now I have to go cry while I listen to Grace, Too on repeat.